Congratulations to Jackson Suboch (Edge 2016) on his recent commitment to attend the University of Massachusetts at Amherst. The 6’4, 180lbs, Etobicoke native has been with the Edge program for 4+ years now and has developed into a strong shut down defensemen who has the ability to scoop up just about every ground ball and transition it up the field. “Jackson is a big strong and menacing defender who always works hard and demands the same effort from his teammates. I look forward to watching his success at the next level” said Edge 2016 head coach Adam Gardner. Suboch began his lacrosse career at the age of 5 and developed his game in the Mimico Minor Lacrosse Association. Jackson is currently playing at Upper Canada College along with our Edge 2016 squad. We would like to wish Jackson the best of luck down at UMass Amherst both in the classroom and on the field. We have no doubt that Jackson will be a key component to a very good Division I program. I first began lacrosse when I was five years old. A good friend of my dad Dean French saw me play goalie in hockey and asked my dad after the game if I ever considered playing lacrosse. I eventually enrolled in Mimico house league lacrosse and fell in love with the game. I’ve been with Mimico my entire life. I feel incredibly lucky to have been surrounded with friends that are, as far as I’m considered, the best guys in the world. I’ll remember the fun I had with Mimico forever. Why did you choose to attend UMass Amherst? I chose to attend UMass Amherst because it was everything that I was looking for in a University. It’s kind of hard to explain my exact reason for choosing UMass, other than the fact that I down right love everything about the school. A great campus, fantastic facilities, an unreal coaching staff, co-ed dorms, and a good group of guys on the team are just some of the reasons that I chose UMass Amherst. What are you looking forward to most at UMass Amherst?? I’m definitely looking forward to the food (ranked #3 in the country). I’m not quite sure. I’d like to come back to Mimico and coach either box or field with some old friends, but it’s so far off that I can’t quite comment on it yet. My next personal goal would be to make u19 team Canada. 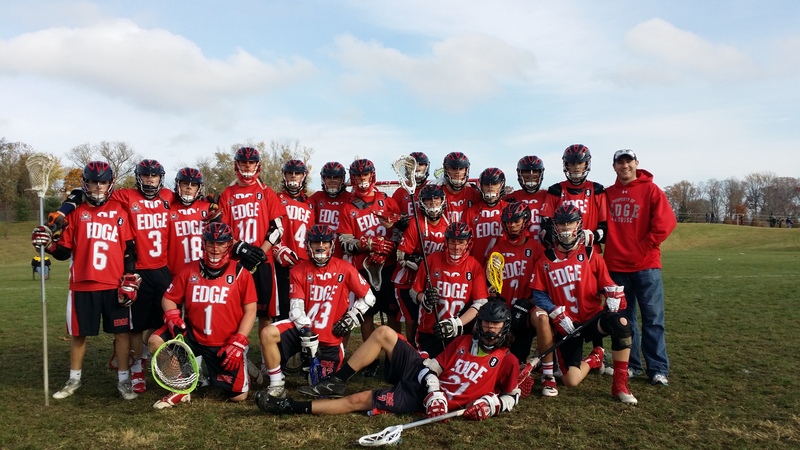 I first heard about EDGE when I was playing novice field under Dean French for Mimico. He encouraged a bunch of us to try-out and I eventually made the team. My experience with EDGE has been pretty awesome. I’ve made a lot of new friends, met guys like Jordan Macintosh, Stu Brown and Alan Tsang that have helped me a lot in the recruiting process, and eventually did what I set out to do which was get recruited to a good D1 school. I’m very thankful for the opportunities EDGE has presented to me. Some advice I have for future EDGE players is advocate for yourself, have good marks in school (most important), and work hard (guys like Stu will do everything he can do for you if you show hard work). Probably the first Dicks Tournament of Champions I went too with EDGE 2015. It was a blast. The boys battled hard through the weekend. We inevitably lost in the final to FCA National- but in our defence FCA was a couple years older! I’m an in your face, tough defenseman (which is why I was recruited by UMass), that doesn’t give you a lot of space and isn’t afraid to play dirty. 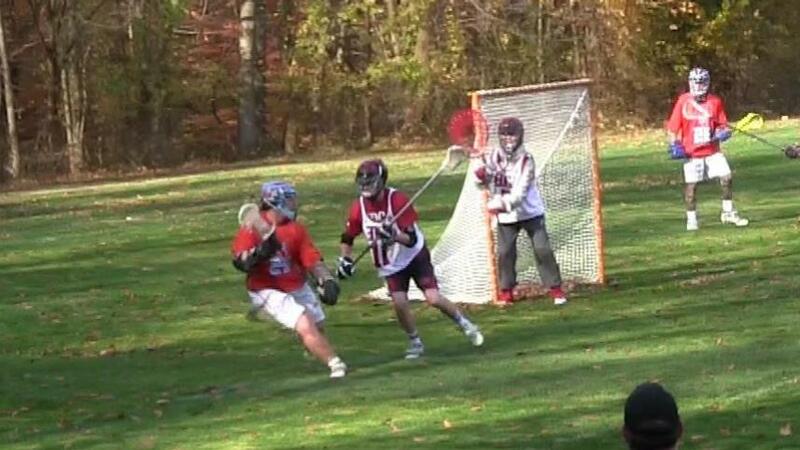 In my opinion, anything in front of the net is “fair game”- with or without the ball. When I was growing up I didn’t really look up to anyone (not that I thought I was better than others), but maybe that is a good thing. In my opinion, why copy someone/model yourself after their game if it doesn’t fit YOUR type of game. First of all, I’d like to thank my mom, dad and Sydney (Syd). They were supportive and patient- whether it was my forgetting my stuff at home before practice or late night drives back home after box, they were there all the way. Secondly, I’d like to thank my coaches Stu Brown, Pete Follows, Dean French, Max Perren, Pete Debrone and Jonny Grimes for being true beauties and keeping it real. I’d like to thank Mimico Lacrosse for the support as well. Finally, I’d like to thank my teammates. Whether it was EDGE or Mimico- you boys were the biggest gems anyone could ask for. Thanks for putting up with me and staying prime.